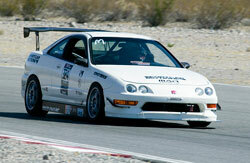 Sportcar Motions use K&N air and oil filters on Honda Integra and all of their projects. Loi Song is the owner of Sportcar Motion located in San Marcos, California, he builds and prepares really fast aftermarket cars. Song's philosophy is to bring customers only the best that the aftermarket industry has to offer, to prove his point, he's put together one of the fastest FWD Acura Integras in the country. With Tim Kuo at the wheel, driving at Spring Mountain, they placed first in the Modified Class (Renzo Marsano is the co-driver and Loi's go-to guy). "It feels great to win in the car's debut, we've worked hard over the years to perfect our balanced tuning methodology. It's a special time for us at Sportcar Motion; this proves that we're not just a one hit wonder. We look forward to the end of the '09 season and a tough '10 season. We will be moving our trusted EG hatchback into the unlimited class to battle against factory backed teams. Should be an interesting and fun year," explains Song. 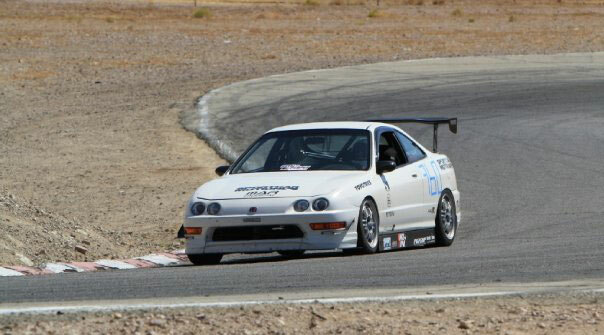 The brainstorm for building the winning Integra came after GM broke the FF record back in '05. "I knew that we had to step up our game," claims Song. "We've learned a lot by running our trusted EG6 Civic chassis through the years. We've always taken plenty of notes on what we want to see in a perfect chassis/platform. Some of the things we had on our wish-list were a more rigid chassis and a longer wheelbase for high speed corner stability." Sportcar Motion, located in San Marcos, California, builds and prepares really fast aftermarket cars. All their copious notes added up and lead to one conclusion - a Type R chassis. "We believe that the '98 Integra chassis is the best FF chassis ever produced," says Song. "I didn't do this all by myself though, I'd like to thank some important people that have made this project happen in a very short period of time: Tim Kuo, Billy Edwards, Socrates, Romeo and of course, Renzo." Songs' engine of choice is the Hondas' newest K24. "Many people think that we run forced induction. We probably will in the near future, but for now we are trying to keep it simple - besides you can't beat the sound of an NA engine." 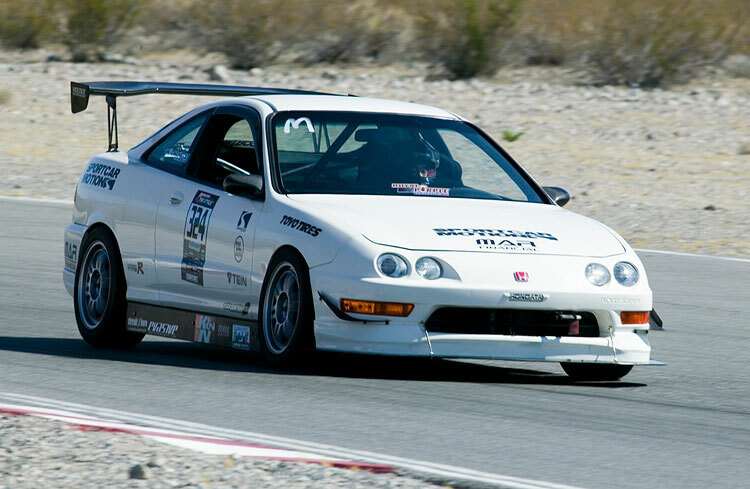 The Integra and all of Sportcar Motions' creations use K&N air and oil filters. "We wouldn't even consider anything else," says Song. "Can you guys provide us with a big-rig though, so we can haul the car to all the East Coast Races next year," jokes Song. The '10 season will be a challenging one for the Sportcar Motion crew, "we plan on competing in all classes of the Redline Time Attack, we also plan on breaking the GM FF record in SUPERLAP," concludes Song, not joking this time.